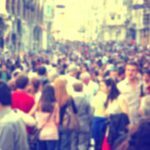 When people talk about the benefits of social media marketing, the site Reddit is usually left out of the conversation. Some business owners and teams are so busy looking for immediate results that they forget to include one of the biggest social media networks in their marketing plans. Reddit had over 540 million views in November and over four billion page views! 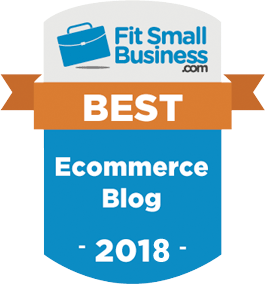 The good news is that Reddit, the self-claimed the “front page of the internet”, can be one of the best sources of growth for your business, with some businesses getting thousands of page views within an hour or two of posting their content. The not so good news is that it takes a bit of work and patience to see that kind of success. 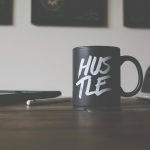 This post will serve as your Reddit marketing guide to help you grow your business – whether it’s one day old or a veteran business with years of experience. Reddit is a website built upon hundreds of different groups, also known as subreddits. Each subreddit has its own rules, and depending on the rules, you can either start a new thread with a link and/or a text post (links can be added inside the text). The only identifiable information to others is your username (which doesn’t even have to be your name). Aside from your username the only other relevant element of your profile is the amount of “karma” that you have. Karma reflects the quality of the content you have provided: the upvotes or downvotes that you get for your comments and posts compromise your “karma” count. More Reddit “karma” only means that you are a trusted source and a healthy Reddit user (and not another brand spamming Reddit). There is no added benefit to your posts as someone with more “karma” versus someone with less. Before we tackle how your business can conquer Reddit, let’s first go over the naughty list of “do not do” on Reddit. This doesn’t mean Reddit is a dead-end! 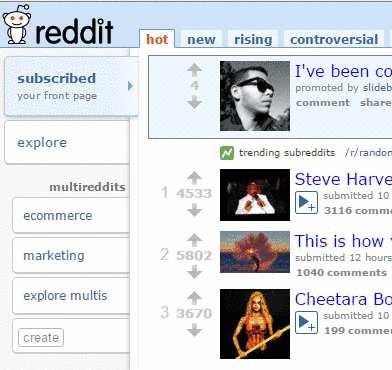 HTC scored a huge win for brand appearance on Reddit by listening and acting in a timely manner. Quality trumps quantity. That is a statement that is true more often than not. What’s the connection to Reddit marketing? When looking to make your brand more visible and popular, subscribe and take part in the discussion in the subreddits that are most closely related to the niche that your brand is part of. Let’s say you sell a variety of different shirts. You want to use Reddit to market your business, so you search “shirts” to find the appropriate subreddit. Fortunately, you’ll find yourself sorting through an assortment of different subreddits – not all of which are relevant. Be sure to search every relevant keyword on its own as well as in combination with other keywords (“keyword 1” + “keyword 2”). Don’t forget to use the advanced search if you believe that the search options can help you find the best subreddits. Post relevant content in the subreddits that focus on images and videos. Although these subreddits may have individuals that are not interested in what you are offering, virality in itself, can help you grow your business when posting the next time in the more niche-specific subreddit. People love memes, quotes, videos, and everything visual! An example from Ikea: Ikea got promoted in front of the subreddit r/pics and although not everyone there will shop with them, the image in itself, will serve the company well the next time someone interested sees their ad (after seeing the image in Reddit). We’ve written more than once on the importance of listening on the web, and for good reason. What does a customer prefer, regardless of what they are purchasing? A customer wants information on the products, but first he/she wants the representative to listen to them. You are held with the same task while using all social networks, and it is even truer with Reddit. Reddit users can be a tough bunch (and that is the reputation they have and why marketing on Reddit is not mainstream). They even have a subreddit to criticize businesses that they cannot stand. In the above example HTC scored a huge win by listening first, and acting second! What’s the best way to listen effectively? Aside from using specific web tools for social listening, you should create what’s known as multi-reddits. What is a multireddit? A multireddit is a combination of subreddits that you can group together for a single feed. Why would you do this? If you are using Reddit for both personal and business, then a multireddit can help you go directly to your “business feed”. In addition, instead of visiting every subreddit and searching a keyword, you can search your multireddit to see every mention of that keyword. Create a multireddit by clicking on “create”. Once you’ve selected that, you will be able to add any subreddits to the multireddit (this is on the right side of the screen after you select “create”). Once you’ve created the multireddits or multiple ones for different keywords/goals, then you can instantly gain access to them by clicking on the multi (ours are “ecommerce” and “marketing”). As we covered at the start, your Reddit profile does not really say anything about you personally. However, creating a stronger user profile – meaning a lot of Karma – is still a wise move, especially if you are trying your hand at authority marketing. P.S. Authority marketing is the act of marketing your business through making the brand a thought leader and knowledge provider on certain topics. Think of karma as social proof as to your knowledge, and as we all know, social proof is effective! To increase the exposure for your brand it is recommended that you use a username that reflects your brand name. We kept things simple and went with “StoreYaCom”. If you have got a lot of “karma”, then self-promotion becomes a little safer as that “karma” acts as a sign that you are a trusted Reddit user (you are one of them). 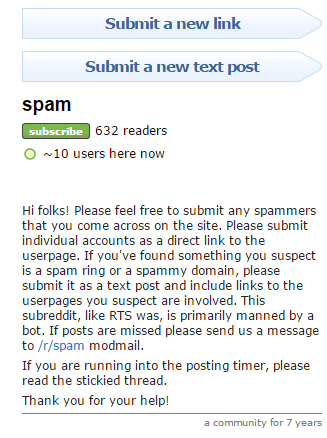 Just like their is a subreddit to ridicule businesses that promote themselves on Reddit, there is another subreddit that allows users to notify the community of spammers. You don’t want to end up on this page and find yourself getting upvoted. The Reddit takes itself seriously and will not hesitate to make noise to get you banned. Media publisher “The Atlantic” was banned from Reddit a few years ago, and now it’s being reported that any user posting Star Wars spoilers also runs the risk of being banned from the site. 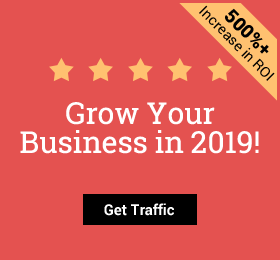 Now we will show you how to get around the disdain for self-promotion and in general, how to rock Reddit to grow your business. Transamerica is an insurance company. Such a boring and usually unenjoyable topic to discuss. That why their Reddit post, submitted as a sponsored post, was golden. Text: Transamerica states that they listen. The company could have come out and said, “we decided to help out Redditors with their interest rates, student loans, etc.”, but instead make themselves part of the community – and they even prove it with the link. Goal: The goal is not, at least directly, to gain more customers. 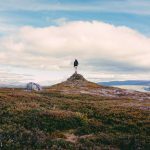 Transamerica is using authority marketing to grow the reach and presence of their brand to a larger group of people in the American population. We don’t have the numbers, but just like we visited their site, so did tons of others. Delivering the Goods: Transamerica followed up on their words and took steps to interact with those that had questions and comments. Reddit’s subreddit AMA has become one of the most popular spots on the site after it has hosted the likes of Bill Gates and President Obama (and many other high profile individuals). Here’s an example from a small business. Title: The title of this AMA works because it brings up the personal story behind the brand (being fired). Text: Yes he mentions the brand, but it is mentioned only in order to bring his own personal story to light. It’s an emotional, good-feeling story that people want to support. Don’t overestimate emotion. Goal: Like Transamerica, the OP (original poster) wants to help others and be an inspiration. Would he like for that to convert into sales? Yes and it probably did. This does not appear to be a subreddit sponsored by Nike, however it is still a great idea for your brand to create a subreddit for customers to discuss and share stories. 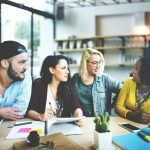 If you are looking to create a community around your brand, then this might be the best place to do it. You can create daily/weekly/monthly threads for customers to share feedback, images, or comments on a certain theme, and it in general can be a great place for your customers to discuss your brand – in a positive light. Red Bull may not give you wings, but it might be the x-factor that helps gamers get to the next level :). Title: The title makes no mention about the company and the only way to know it is from Red Bull is from the link on the right side and the image. Goal: The goal was simple: get people to come to an event, which was sponsored by the brand. It worked! Reddit can be a fantastic place to market your business. Make a plan and get to work. Start by listening to what is being said and seeing what interests the people, and what engages them the most. When you can, chime in with a smart comment that adds value. When you are ready to start submitting posts that bring traffic, do so wisely. Consider using an advertisement – but that is not a must (and something we will talk about another day). Take a look at all of the above examples and see what you need to do to make the post work, from the title, the text, and the goal you have in mind. Good luck, and if you are on Reddit, share your username in the comment section below. We’d love to take a look at what you are doing! BONUS: Promote Your Business on Reddit (Awesome Subreddits): Smallbusiness (weekly thread), Startups (Monthly thread), Takemymoney. Great post Ty, even if I’m a year late! There’s a tool that I just made that I think would help you save a lot of time getting to know your Reddit audience. It’s called Keyworddit, the first free keyword research tool that extracts keywords (and search volumes) from Reddit. To apply it to what you wrote about, you’d want to use it upfront for a subreddit that you want to target. Based on the keywords it gets you, you can use those for topic ideas, or at least to get a general overview of what the Redditors in that subreddit care about. Thanks for sharing this tool, I’ll be happy to check it out!